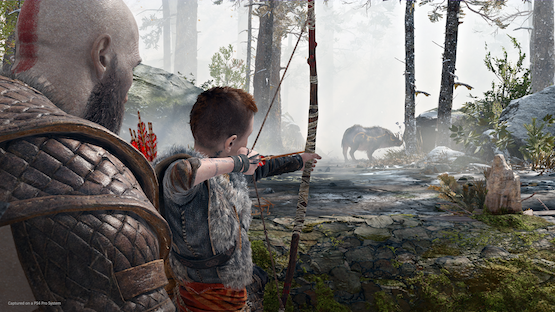 The critical reception for God of War was nothing short of amazing. I mean, it’s only the highest-rated PS4 game ever (no, let’s not get into semantics about Grand Theft Auto 5). But how did God of War sales perform once eager players were asked to lay down their hard-earned cash for Kratos’ next adventure? It didn’t do half bad. And by half bad, I mean that Sony just announced that God of War is the fastest-selling PS4 exclusive ever. With more than 3.1 million copies sold in just the first three days of the game’s release, God of War is a commercial success. We’re a week and a half past that launch period now, which means that even more copies have been sold. It seems like the new direction was overwhelmingly loved and accepted by fans as Kratos shrugged off some of his unabashed anger and vengeance. I would like to personally thank the millions of fans around the world who decided to embark on Kratos’ latest adventure with us. Your support is truly inspiring, and it’s a reason why we push ourselves every day to go beyond the boundaries of play. I’d also like to thank our Creative Director, Cory Barlog, and Director of Product Development, Yumi Yang and our entire amazing team at Santa Monica Studio. The belief in the game’s vision and the passion for storytelling across the team is undeniable. We look forward to hearing more about how fans are creating new memories of their favorite God of War gameplay moments that will be remembered for a long time. If you’re one of the millions who picked up God of War, make sure you don’t miss the secrets this game is hiding. There’s a secret “true” ending that can be seen after you reach the game’s first set of credits, and we show you how to see it spoiler-free. A secret powerful axe pommel was discovered thanks to some runes in the Stone Mason edition of the game. There’s also an Avengers: Infinity War Easter egg that nicely lined up with last week’s release of the highly anticipated film. Do you think any other Sony exclusives can dethrone the God of War sales records? Or has Kratos carved himself a place in PlayStation history as the best thing the PS4 will ever get?